Many people have become intrigued by the idea of a hybrid spring-foam mattress that seeks to give the benefits of foam and coils while minimizing the drawbacks of each of those materials. WinkBeds is a new start-up company that is looking to provide just that and to do so for a fraction of the price you’d pay for a mattress from a traditional brick and mortar store. They use an online only business model to reduce the amount of overhead they pay and pass the savings on to the consumer. WinkBeds has set itself some ambitious goals, and it remains to be seen if they’ll be able to meet them. Read our full review for more information now. Should I Buy the WinkBeds Mattress? The WinkBeds mattress is made from 5 different layers. 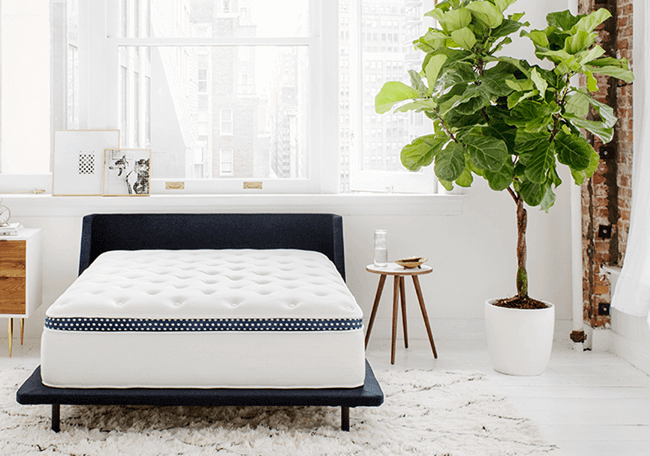 The layers are made from coils and foam, and the overall height of the mattress is 15”, which makes it one of the thicker mattresses offered by online-only mattress retailers. The different layers of coils are designed to enhance the comfort and support of the mattress, while contributing to its long term durability. Top – the uppermost layer is made of a euro-style pillow topper. The topper is 2” thick and is made from a combination of foam and gel. The euro-style pillow topper has a close feel to a standard pillow top, but they are sewn into the cover rather than being sewn on top of the cover. The combination of foam and gel allow the topper to contour around the body nicely, but at the same time maintains the responsiveness that people look for in a coil on coil mattress. Additionally the gel aerates the foam and helps to provide a balanced sinkage so that the surface is cool and breathable while also offering comfort and support. Second – the second layer is made from 2.5” of pocketed coils. The WinkBeds coil layer has more coils than you would expect to find at a traditional brick and mortar mattress store mattress. More coils means more support. Additionally, the coil layer helps to encourage breathability and create a flexible layer of support designed for pressure point relief. Third – the third layer is part of the edge support system. It is a 4” of high density support foam that lets you sleep at the edge of the mattress without the sensation that you’re about to fall or be thrown off. It also allows for edge siting without the mattress collapsing too much, which can come in handy for adult playtime. Fourth – the fourth layer consists of tempered steel coils. It provides a consistent base of support while distributing the body’s weight evenly across the mattress. One of the nice things about this type of steel coil is that they provide more support the more pressure is applied to them. This means you’ll get the right amount of support for you no matter what your body size or type is. Bottom – the bottom layer is made from 2” of high density support foam that acts as the foundational layer for the mattress, supporting the coils above and providing a steady surface for them to rest on. The WinkBeds cover is made from Tencel fibers, which come from the Eucalyptus tree. We’ve talked about Tencel before, and we’re always impressed with the softness and breathability the material offers. It’s also naturally absorbent, so it contributes to cooling by helping to take moisture away from the body. In terms of looks, the WinkBeds cover is nice. It has a good balance of classic and modern design elements. The top and the bottom part of the side panels are white, and the top part of the side panel is a blue ribbon with white polka dots. This splash of color is a welcome touch in an industry that frequently goes with off-white and grey for nearly every single cover design. One of the most innovative things about WinkBeds is the coolControl Mattress base they offer as an add on. The coolControl base works to give sleepers a tremendous amount of control over the temperature of their mattress. It lets sleepers raise the temperature by as much as 30 degrees F, or cool it by as many as 10 degrees F. It works by pumping heat into or out of the mattress with a set of motors, and creates a sensation similar to heated and cooled seats that you find in luxury autos. Overall the system works impressively well. The temperature change response time is very short, so you can have a cool mattress on a hot summer’s night in no time, or jump into a hot mattress to warm up during winter nights. The system does have a couple of drawbacks. It does have some noise and vibrations. Neither the noise nor the vibrations are especially loud or aggressive, but they are noticeable. Additionally, the cost of this technology is fairly high, at $3,499 for a queen mattress. WinkBeds comes in three different levels of firmness. On a scale from 1-10, with 1 being the least firm and 10 being the most firm, the soft WinkBeds rates as a 4.5, the medium option is a 6, and the firm option rates as a 7.5. This means that there’s a WinkBeds mattress for everyone, no matter what level of firmness you need. The mattress also does a good job at providing comfort. There’s a slight amount of body hug and contour from the gel-foam pillow topper. 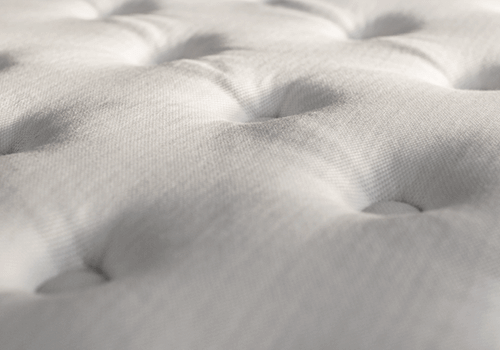 The combination of gel and foam help to give the mattress a unique feel that doesn’t truly resemble foam toppers or traditional pillow tops. It’s still very comfortable, it is just also rather unique. The WinkBeds mattress is also great for edge support. It helps prevent you from feeling stuck and also gives extreme edge sleepers the confidence they need to know they won’t be falling off in the middle of the night. The same systems also contribute to the unique bounce properties that you get from the WinkBeds. You get bounce when you want it, but there is still a good amount of motion transfer control. This comes from the comfort layer, which stifles small motions, but still allows the coils to kick in when you want the bed to have bounce. The mattress performs well for all sleeping positions, and the two layers of coils provide an excellent level of deep compression support. This makes the WinkBeds mattress an attractive option for people who are heavier sleepers and those that need help with spine and neck alignment. 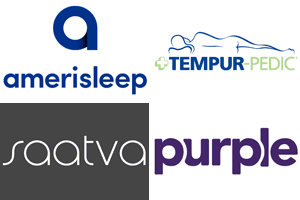 We put all the mattresses we review through a series of sinkage tests so that you can get a better idea of how they’ll perform in real life context. We use the basic sleeping positions to show how the mattress will feel when you’re on it. Our tests are conducted by an individual who weighs ~140 lbs, so your results might be a bit different. Laying on Back – laying on the back in a normal sleeping position with weight distributed evenly across the body created 2” of sinkage. Slight Edge Sit – sitting on the edge of the bed but not putting the full body weight on it resulted in 3.5” of sinkage. Standing in Middle – standing in the middle of the mattress with both feet planted flat caused 5” of sinkage. It’s important to note that WinkBeds frequently runs promotional deals and sales, so watch their site carefully for deals. Additionally, they have put out a number of discount codes, so if you’re going to buy the WinkBeds mattress check around and see if you can get a discount first. Warranty – 10 years, which is standard for the mattress industry. Many sleepers will love the WinkBeds mattress. It is truly unique in the mattress world today. The coil on coil construction is a rarity in a time when most mattresses are made from foam or latex, or only incorporate one layer of coils. It’s great for sleepers looking for a medium feel with substantial bounce when you want it. 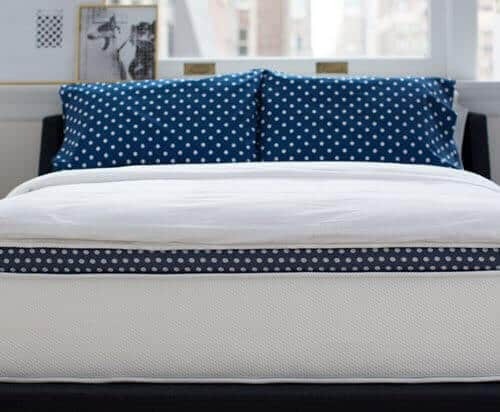 It has a more traditional feel that other memory foam incorporating products, and that makes is a good mattress for those who want some of the qualities of memory foam, but want the support offered by coil on coil design. The WinkBeds mattress is also a prime choice for those looking for a pillow top mattress. The euro-style pillow top does provide a great feel and offers all of the benefits of memory foam hug and contour without the heat accumulation some people experience with that material. On the whole the WinkBeds is an excellent mattress. It comes in a variety of firmness levels, so you can find one that suites your preferences no matter what they are. They offer an innovative heating and cooling technology to give you the ultimate control over the temperature of your bed while you sleep, and it does it all for a fraction of what you would pay at a brick and mortar mattress store. The result is a high quality mattress that most people will love, featuring a great balance of bounce, comfort, cooling, and support.